Get your Lederhosen and Dirndls on! 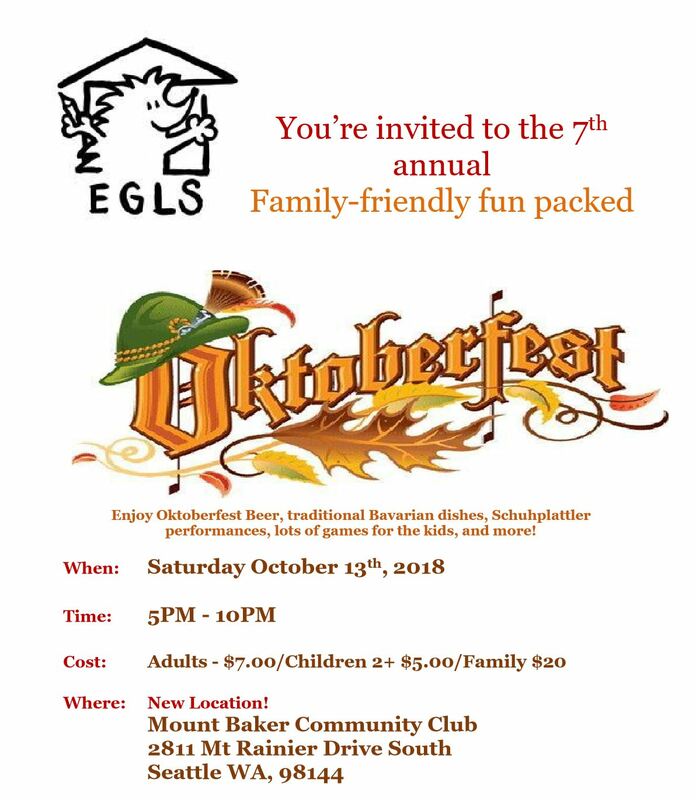 Our annual Oktoberfest is coming up on Saturday, 10/13/18 from 5pm to 10pm at Mount Baker Community Center in Seattle. The space holds up to 200 guests and is the perfect venue for the Enzian Schuhplattler dance troop performance, dining, drinking, dancing and kids' activities. We will serve traditional Bavarian food from Leberkäs, Würstchen, Rotkohl, Sauerkraut and Brezen along with plenty of beer and Apfelschorle. This event is open to non-EGLS families, so bring your friends and neighbors!